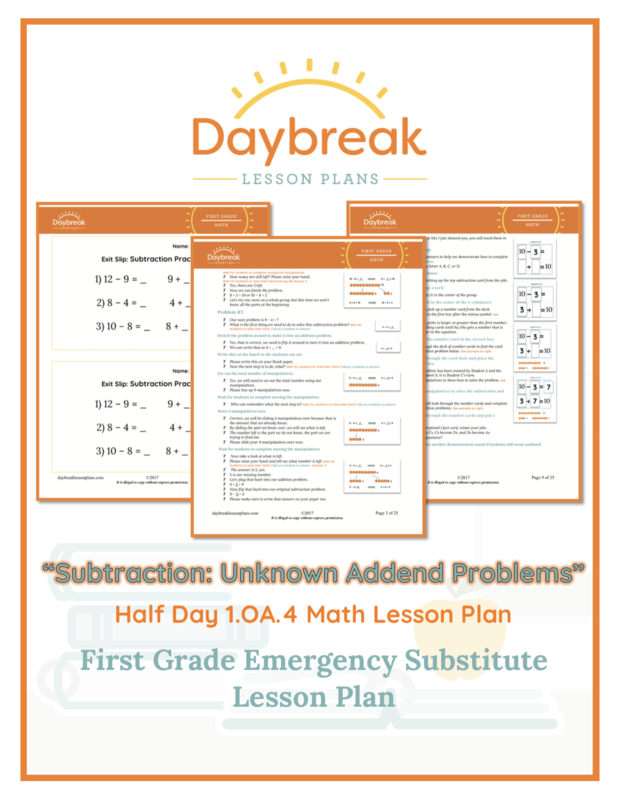 This fully scripted First Grade half day lesson plan is broken down into 2 separate segments (30-60 minutes each). 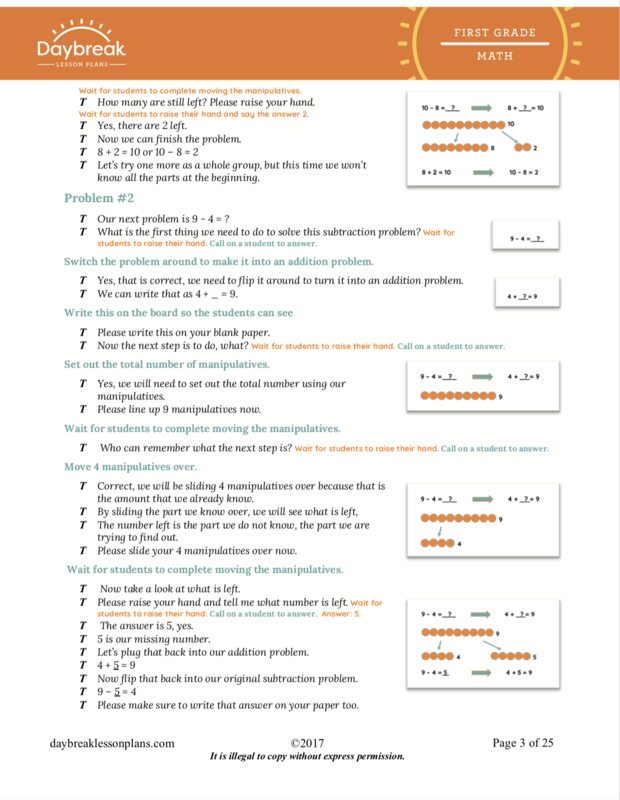 These lessons address Operations and Algebraic Thinking: Understand subtraction as an unknown-addend problem. For example, subtract 10 – 8 by finding the number that makes 10 when added to 8 (1.OA.4). These lessons include: a review of the addition commutative property, practice flipping around addition problems into subtraction problems, using manipulatives to solve subtraction problems, practice finding missing addends to help solve a subtraction problem, an exit slip as an optional assessment component, and an activity using cards and equations where students will flip subtraction problems into addition problems to help find a solution. 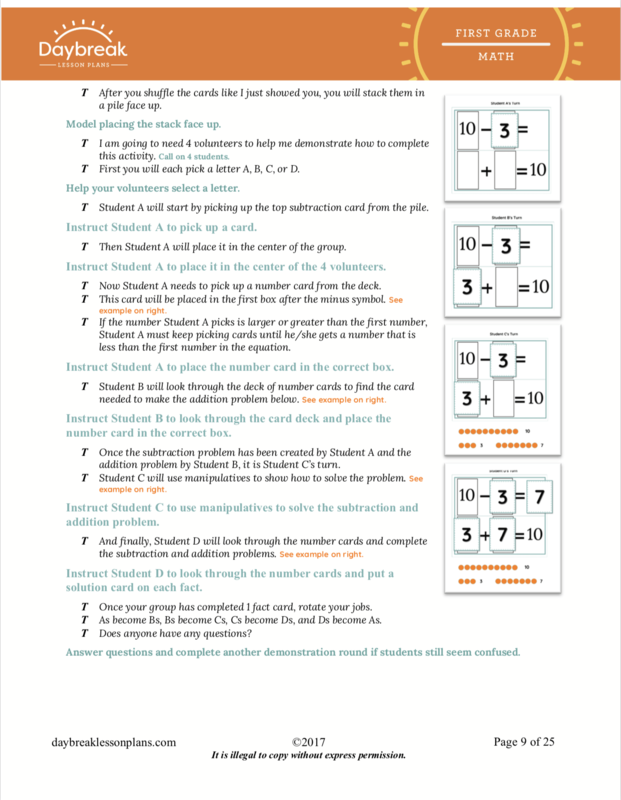 Segment 1: Students will review the Addition Commutative Property, show subtraction as an unknown-addend problem using manipulatives, and will display their understanding of using subtraction as an unknown-addend problem. 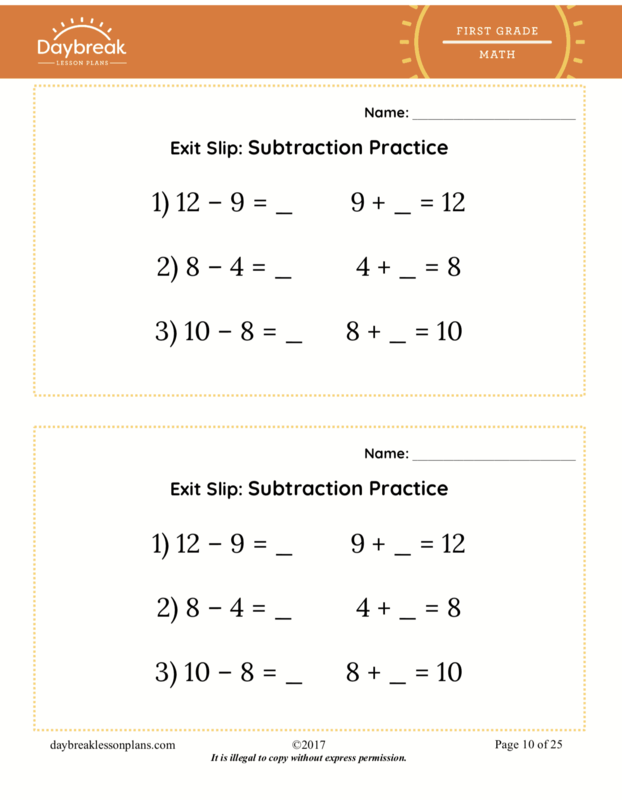 Segment 2: Students will subtract by turning the problem into an addition problem.